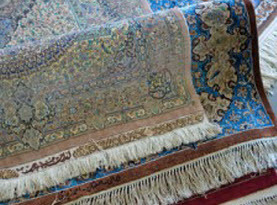 One of the most commonly used fabric in carpets is polyester. Polyester is a blend of synthetic and natural fabrics and materials that creates this carpet’s pile. When a homeowner wishes to maintain, or even change the color of the carpet, polyester carpet presents its own set of challenges. 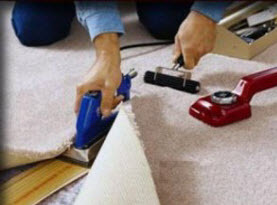 However, when polyester carpet is still in good condition and a homeowner wishes to change or maintain its original color, it can be done with the right steps and tools. Carpet Dye-Tech will share how dyeing polyester carpet is done. Step 1. Room Prep: When the carpet inside a room needs to be cleaned and dyed, your very first step is to prepare the room and the carpet to be dyed. First the room or the entire carpeted area will need to be cleared and all furniture will need to be moved. Once the room is cleared out, the carpet will need a thorough vacuuming. When vacuuming carpet, it is important to vacuum in multiple directions as well as multiple times to ensure all of the dirt and trapped particles are out of the carpet. Once the carpet has been vacuumed, next the carpet will need to be cleaned with either a shampooer or steam carpet cleaner. It is essential that polyester carpet is clean before dyeing in order for the dye to adhere to the carpet fibers. Therefore, the carpet must be clean and free of dirt. Once the carpet has been cleaned, it will need to dry before applying the carpet dye. 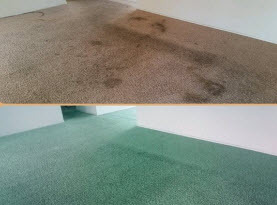 Some professional carpet dyeing companies like Carpet Dye-Tech can clean and dye the carpet at the same time. As the carpet is being cleaned, small amounts of dye are injected into the carpet. This helps reduce the amount of time it takes to clean and dye the carpet and is great for a touch up to maintain the original carpet color. Step 2. Applying Carpet Dye: Professional dye technicians will wear protective gear. Depending on the dyeing service you hire, the dyeing application can vary. There are DIY carpet dyes that use a spray bottle. However, DIY carpet dyeing is extremely risky and often mistakes are made and the color rarely matches correctly. There are many scenarios why a professional dyeing service may be needed at your home. Depending on the carpet’s needs, the application will vary. Carpet dyeing is used to cover over stains including bleach spots, color faded carpet lines, and even entire carpet recoloring. 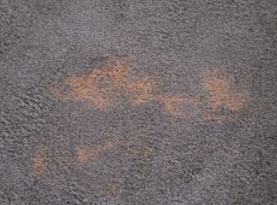 If the technician is only dyeing the carpet where small stains are, they will often use a syringe or a spray bottle and a carpet comb and work the dye into the carpet. When a larger area is required or the entire carpet is being dyed, they will use a carpet dye machine which is very similar to carpet cleaning machines and then rake the color in for even coverage. Once the carpet has been dyed, you must wait until the carpet is completely dried before walking or placing furniture back in the room. Depending on the service, dry time can take a few hours to a full day to ensure the dye doesn’t transfer. If you need a professional carpet dyeing service to reclaim your carpet’s color or perhaps change the look of your carpet completely, contact Carpet Dye-Tech and schedule our services today!